44 years and going strong! When I was a sophomore in high school, I saw my first Bernini at a booth at the County Fair. I had learned to sew on my grandmother’s old Singer that could stitch forwards and backwards, and when I saw the capabilities of the Bernina, I was enthralled. 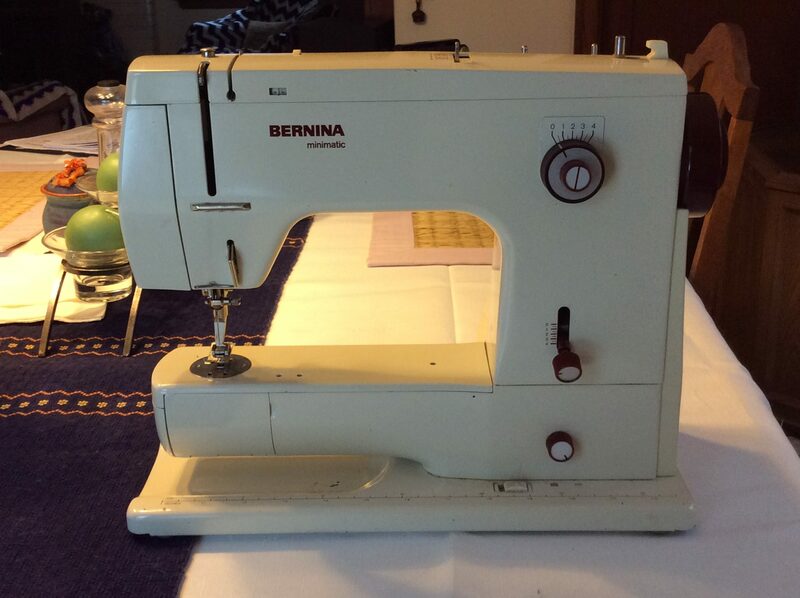 Two years later, just before the start of my senior year in high school, I saved up all the money I had earned hoeing sugar beets that summer ($400.00) and used it all to purchase the Bernina Minimatic. That was August of 1974. It was the best, most useful purchase I ever made, until this past July, 2017, when I purchased a new Bernina 560 to celebrate my recent retirement. I am keeping my Bernina Minimatic for when we build our vacation home in a few years…that way I can have a machine in both places! Previous Previous post: The quilt I’m most proud of…. I am still using my Bernina 801 as my go-to-machine. I understand how it works – it is a work horse. I have considered buying another machine, but honestly don’t think it could compare. If I wanted to do embroidery I might, but have found that this machine meets my needs…and I love it. My story is very similar. I left school in 1974 and from my first wages saved up to buy a Bernina Minimatic. I fell in love with the Minimatic at school using it to create tailored suits and soft furnishings etc. Passed my “A” level exams in Dress design and fabrics using one. It has been a work horse over the years. Sewing everything from fine dress fabrcs, curtains, canvas tent awnings to repairing horse rugs, the list is endless. The only small repair that has been required was to the suppressor in the foot control. It has never had a professional service but I have looked after it by regular oiling and cleaning. It is still going strong. I purchased a 770QE last year only because I am now doing a lot more quilting and the BSR is brilliant in helping me with mastering the art of Free motion quilting. My story is very similar to Corkie’s. Bought my first Bernina in ’75 when I was making Christmas dresses for my 2 girls and my old Morse machine quit and was not repairable. My husband asked what I wanted and “Bernina” was the first word out of my mouth. I still have it today and have worn out motor brushes on it twice but it still sews like a charm. It’s made everything from wedding gowns & suit coats to canvas tarps and everything in between. 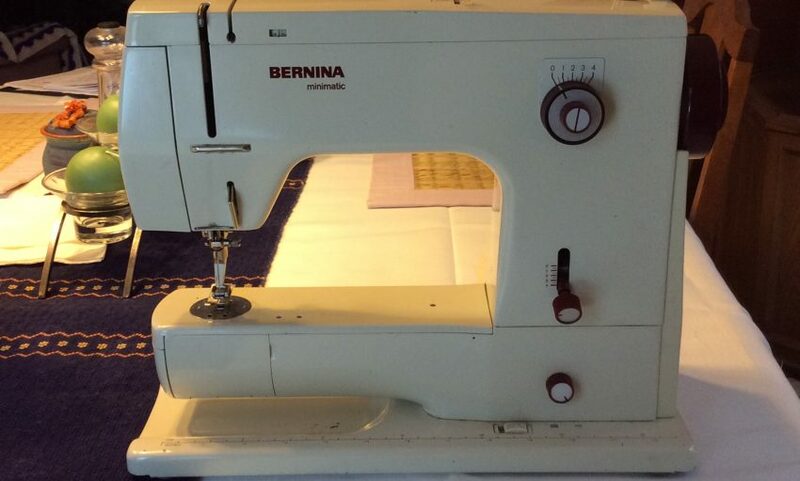 My new machine last year was a 770QE because of the quilting with the BSR but I would never give up my old Bernina.